Hand of Midas is your source of gold in Idle Heroes. Idle Heroes Strategy Game Guide. 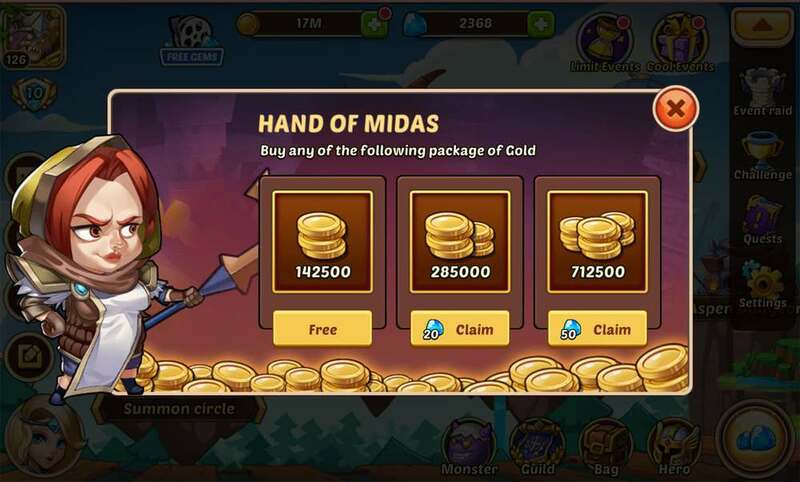 Hand of Midas is your source of gold in Idle Heroes. Three times a day (every 8 hours) you can get a free pack of Gold from Hand of Midas. If you have Gems, you can buy extra gold for them. The amount of gold you gain in Hand of Midas depends on your VIP level.